Over a decade ago, a woman called Alice Dubois shared her travels with readers of The New York Times, about a time when she “willingly took a bus from New York to Boston” and back again in a single day, fully alert to the toil. The reason? A flour tortilla filled with chicken, rice, and beans. Dubois submitted herself to not just any burrito, but a legendary burrito from Anna’s Taqueria, a small chain of Boston-area Mexican restaurants that makes what Dubois considers to be “the best burritos in the world.” In Boston, she is not alone in this sentiment. 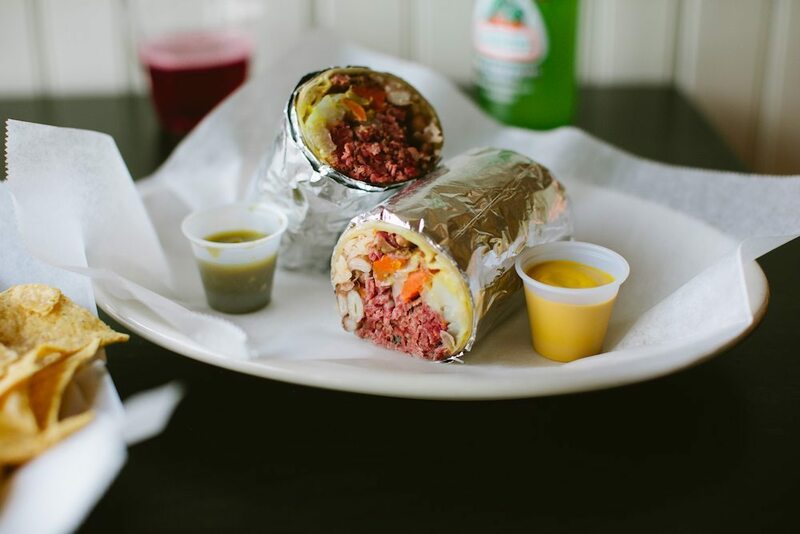 In just a week, on St. Patrick’s Day, Anna’s Taqueria (and Anna’s Taqueria catering) will cause even more of a rumpus when they open their doors to eaters hankering for a corned-beef-and-cabbage burrito. Among the bagpipe players marching on the streets, Bostonians will find lines wrapped around Anna’s Taqueria. Their special St. Patrick’s Day burrito, sold on just one day out of the year, has become an annual event in Boston. Taste-wise, the fusion-y burrito sails off into uncharted territory: Mexican-Irish, not yet a trend, but one day could be. Meaty and salty corned beef—corned with just enough pickling spices to register a tang and vegetable steaminess—is heaped on top of melty cheese, aromatic cabbage, carrots and potatoes cooked long enough to retain their shape, and a broad stroke of mustard (spicy or yellow). All of this is somehow loaded inside a delicate tortilla purse. One has the option to choose from a number of traditional Mexican add-ons (guacamole, sour cream, salsa)—if this is what you want, but Rob Favuzza, from Anna’s Taqueria, suggests tasting the concoction the way it was conceived. 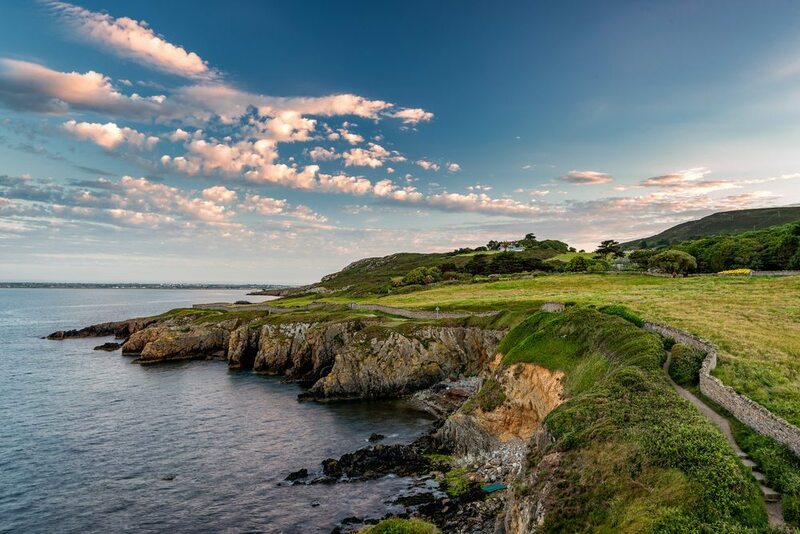 The burrito—with concentrated corned-beef flavors—is going to be a touch nostalgic to those thinking about their roots in Irish soil. To everyone else, the corned-beef-and-cabbage burrito, with surprisingly approachable—comforting—flavors, is just going to taste delicious. 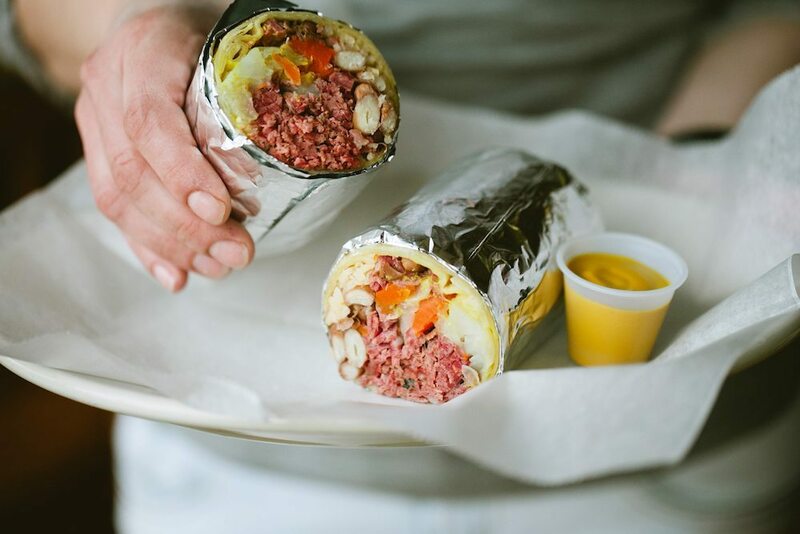 This year all Anna’s Taqueria locations in Boston, Brookline, Cambridge, Newton, and Somerville will be selling the corned-beef-and-cabbage burrito on March 17 until their kitchens run out. The burrito will also be made available for orders of Anna’s Taqueria catering. The special burritos cost $6.75 for a regular, $7.55 for a super, and $15.10 for a super-super. The burrito will also be made available for orders of Anna’s Taqueria catering made through ezCater. Order a tray of supremely delicious burritos for your office here. I spoke to Rob Favuzza, Anna’s Taqueria’s area director, one late afternoon just as a nor’easter was approaching the East Coast. Hours after our phone call, around midnight, I discovered that fierce gusts had felled a giant tree in the middle of my street. Rob and I are both Boston based, but neither one of us had made mention of the weather at 3 p.m. that Friday. When we had spoken, it was still hours before the effects of the high winds. Perhaps we were convinced that the weather would slowly let up. Perhaps we were both sealed in the dream of an Anna’s Taqueria burrito. An Irish burrito filled with salty corned beef, umami perked by the funk of braised cabbage and mustard, a touch of richness from melted cheese. Legends have a way of overtaking us, as had happened that day to Alice Dubois: one is unaware of the power of one’s appetite until, well, a burrito is conjured. You won’t see this burrito again till next year. Have a go at it. All your restaurant locations, and Anna’s Taqueria catering, are very popular in Boston. Your burritos have a following. Why are the burritos of Anna’s Taqueria so famous? We’re chopping your veggies right in front of you. We’re going to the produce market, we’re partnering with local farms to get farm-to-table, everything in-house is homemade. We don’t own a freezer. We don’t own a microwave. We don’t own a can opener. If you want to hand pick what you want, we’d be happy to do it, we chop the carnitas right in front of you. Chop the grilled veggies in front of you. All the ingredients that you’re eating is made in-house. We make the salsa guacamole many times a day. So, we’re very much a fresh place. So, all of that spun together is kind of why we’re so good. Attention to detail. What do you do to make the burrito unique? In your years of business, with both Anna’s Taqueria and Anna’s Taqueria catering, have you uncovered something new about the burrito? Perhaps a technique that makes it better? Obviously, our burritos are delicious because they’re fresh, foremost—it’s part of how we operate. But then we use a wet steam that melts the cheese into the tortilla, creating a gooey burrito that holds all the ingredients tightly within the tortilla. 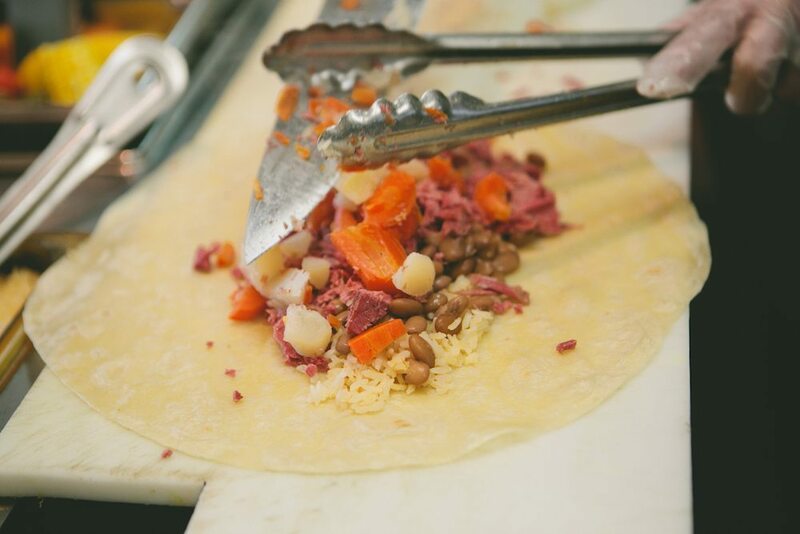 When you’re biting into an Anna’s Taqueria burrito, say a corned-beef-and-cabbage burrito, our goal is to have you get those flavors in every bite. So, as you’re biting into that tortilla you’re getting the corned beef, which is getting offset by the cabbage, carrots and potatoes, and then the mustard. Balancing all those different flavors together is tricky because a lot of our ingredients are extremely powerful on their own. But we take pride in balancing the different flavors together so that as you bite you get consistent flavors. As you walk into an Anna’s Taqueria, you literally, as a guest, hold all the cards. If you say, hey, I would love a regular burrito, a super burrito. We’re going to steam that tortilla right in front of you. Then we’re going to put that on a cutting board. And we’re going to slowly start the process of—actually you’re going to slowly start the process of building your food. You’re going to handpick what you like. Say you want a corned-beef-and-cabbage burrito. No problem. We’re going to grab that corned beef, we’re going to chop the appropriate amount, put it in the burrito. We’re going to grab the cabbage, carrots, and potatoes. We’re going to dice the vegetables in front of you and put that together. Obviously, we add that mustard, wrap it, fold it, and so you’re watching your food being made. It’s not like going up to a counter and ordering and a minute or two later someone yells “number 525.” No, you’re part of the process. We customize the burritos for you. You’re building it and we’re just the vessel assembling it. Tell us about the corned-beef-and-cabbage burrito and about the cult-like following around Anna’s Taqueria and Anna’s Taqueria catering. It started in 2010. 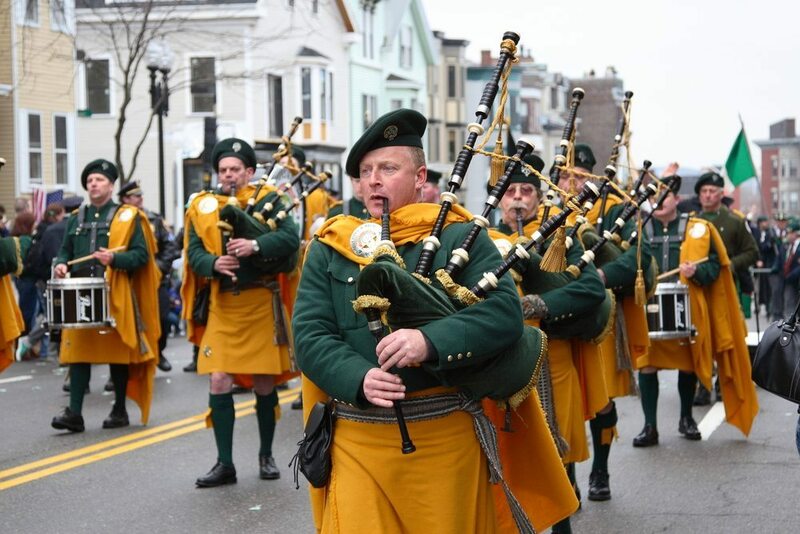 It was to pay homage to Boston, a predominant Irish community that takes great pride in St. Patrick’s Day. And so the owner decided that one day a year he’ll alter his menu. Now, we don’t alter our menu seasonally, and we don’t change our menu ever, but in this case we did. Literally on St. Patrick’s Day, it’s on one day out of the year that to be Boston is to be St. Patrick’s Day. To be St. Patrick’s Day is to offer corned beef and cabbage, so we decided to start. Luckily for us it’s been great. Every year there’s more and more of a following. The burrito is surprisingly better than you’d expect. Why is Anna’s Taqueria catering unique? You’re going to get fresh, fresh, fresh food. We take a catering order as seriously as if it were the only order we have that day. If your goal is to have that order picked up at 11 a.m., our goal is to have that order just a minute or two ready before that pickup time. We don’t have heat lamps. And we make our food to order. As you’re picking up, we’re finishing. When it comes to St. Patrick’s Day, it is the one and only day you’re able to get our special corned-beef-and-cabbage burrito. We don’t change our menu except for that day. It’s unique, the flavors are different. It’s surprisingly, supremely delicious. Your corned-beef burrito seems wildly inventive. What do you make of these twists on the burrito, twists on Mexican food? There’s a trend in trying to be different. We’ve been traditionally very authentic, our menu, our food. So we don’t go into those other items. We’re trying to be true to what Anna’s Taqueria is, as traditional as possible. We are Mexican street food. We live it, breath it, and enjoy it. Last words? About Anna’s Taqueria or Anna’s Taqueria catering? 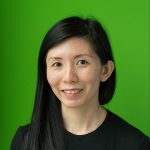 Being part of Boston, we want to make sure we’re in the community and taking part. We do a lot of community work and provide fundraisers to be part of the locations where we operate. We take part in Taste of Somerville. We try to give back to the community. Without that community and those guests, we would not be successful. We understand what makes us successful and we’re humble. There’s a lot of food choices out there and we’re grateful that we have the following we do have. Also, you got to try the burrito for sure. Somewhere in the world, two friends are arguing about comfort food. Is it the burrito or corned beef that’s the epitome of comfort? We think both. You won’t see Anna’s Taqueria’s St. Patrick’s Day burrito again till next year.